Castle Acre is an unusual and historic village set in the county of Norfolk within easy driving distance of the beautiful coast. It was probably settled originally by the Iceni before the Romans came to develop the Peddars Way as a military road between Brancaster and Thetford. Later the area was invaded by Teutonic pagan tribes from East Anglia and Europe. Castle Acre was one of the most important manors mentioned in the Doomsday Book in 1086AD. 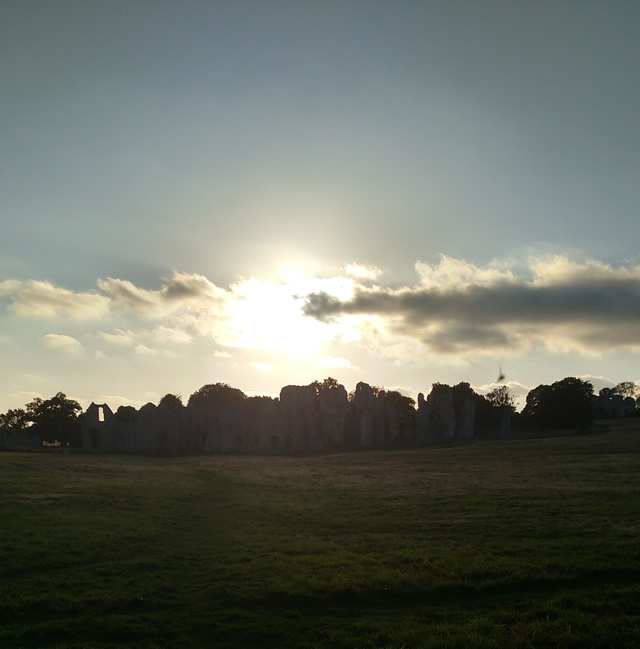 It has the ruins of a large Norman castle which was founded soon after the Norman Conquest of 1066 and a Cluniac Priory founded in the late 11th Century and disbanded by Henry VIII between 1536 and 1540, as well as several other historic features that make it an exciting place to explore on foot. There are several shops in the village, including a well stocked general store and post office, toy shop, deli, hair dressers and pottery. 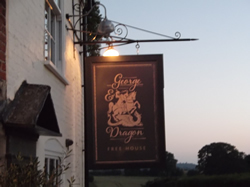 On the pretty village green, known as Stocks Green, there is one 16th century country pub, the Ostrich Inn, that serves traditional fare and real ale and food and two tea-rooms serving light lunches, morning coffee and afternoon tea. The village sign commemorates the Festival of Britain 1951 and the Coronation 1953. Opposite Bailey Gate is a small street called Drury Lane, which used to be the home of an old flint barn that was used as a theatre and it is understood that there is an original handbill from this theatre dated from December 1812. The picture below portrays the so-called Bailey Gate which was the North gateway to the town. 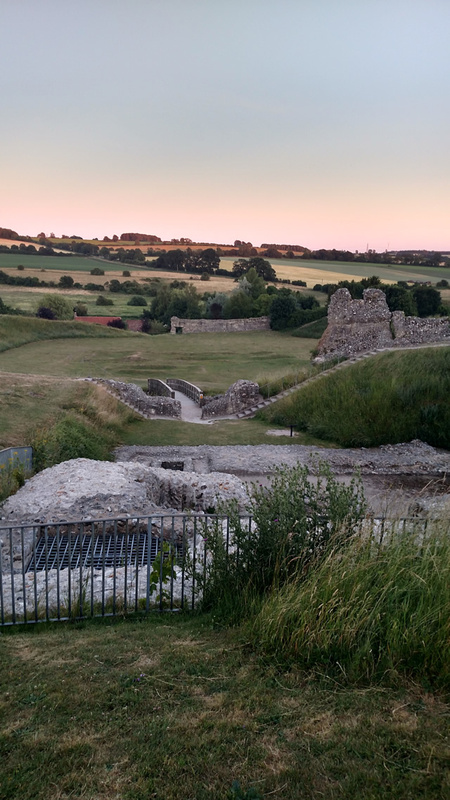 You can explore Castle Acre’s Norman Castle which was founded soon after the Norman Conquest of 1066 and surrounding area for free. 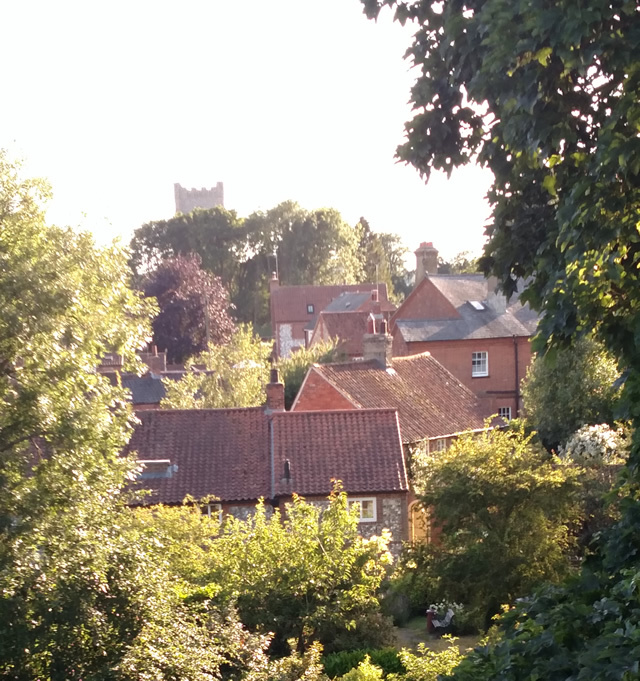 There is information displayed about the castle for you to read and it is a great place to have a picnic on a sunny day while enjoying panoramic views of the village itself and the glorious Norfolk countryside. The castle grounds provide plenty of space to run around, kick a ball, or even fly a kite! This Cluniac Priory was founded in the late 11th century and is one of the finest still surviving in England. It was disbanded by Henry VIII between 1536 and 1540. The ruins and surrounding walled area which cover about 24 acres give an insight into the way of life of this monastic community. The extensive and well cared for remains are set in farmland bordering the Nar River. This is an English Heritage site with a visitors center featuring exhibitions, displays of artifacts,site models and an audio tour. There is also a recreated herb garden with herbs that would have been used by the monks for cooking, decorations and medicines. See the tourist page for information about the priory and click on the link for more information. Also known as Saint James the Great, this is a medieval church circa 1500 with a Saxon cemetery. Most of the present building dates from the 15th century, although began towards the end of the 12th century. There were two major renovations during the 19th century; the first took place in 1846 and the second in 1875. The 15th Century construction of the church features a wine glass pulpit featuring paintings of St.Augustine, St.Jerome and St Gregory and a medieval rood screen and font cover. There is also a small barred alcove containing a skull and bones set in one of the church walls. Peddars Way is an ancient Roman road that was built shortly after the tribal revolt and subsequent defeat of AD61 led by Boudicca, Queen of the Iceni. It was built in a straight line using local materials and it allowed the movement of Roman soldiers to police the area. The name Peddars Way is thought to have arisen during the 15th or 16th Century. 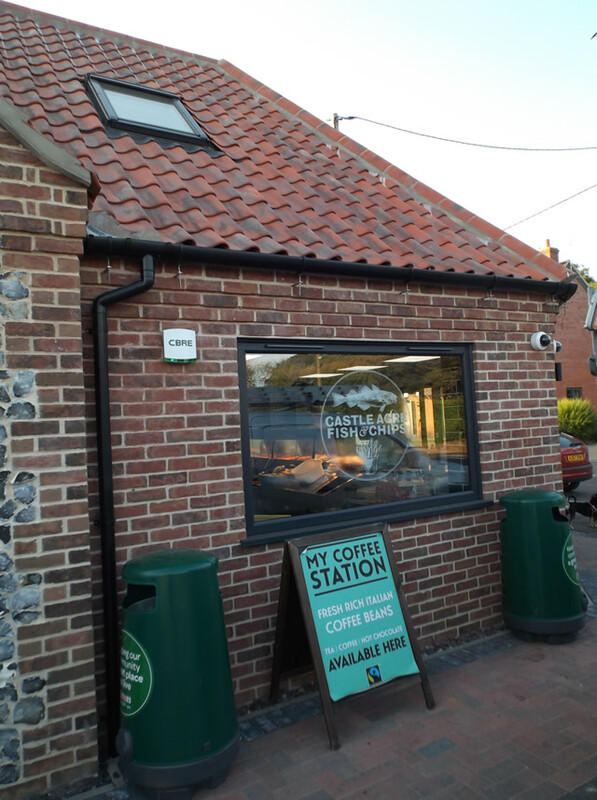 The route begins in Suffolk, and runs north through Breckland and Castle Acre, and then joins up with the Norfolk Coast Path. The route covers 93 miles and most of it is suitable for walkers, horse riders and cyclists. In May 2000 five commissioned sculptures were unveiled along the Trail for users to enjoy. Please visit the website Peddars Way/Norfolk Coast Path for more information. The beautiful River Nar flows along the outskirts of Castle Acre. This is one of the cleanest chalk rivers in the country. It is ideal for paddling or wading in the hot weather, especially at the ford! You can walk along one of the footpaths through the water meadows and near the ford to search for trout, while enjoying the idyllic scenery and wildlife.